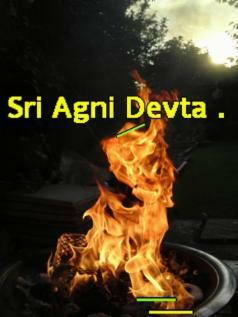 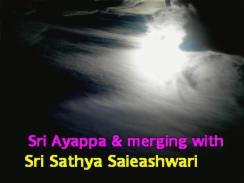 In the picture underneath The divine Sri Sage Agasthya came to see Bimal. 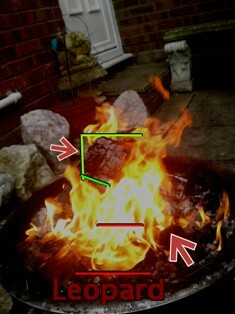 (I have turned the second picture for you to see). 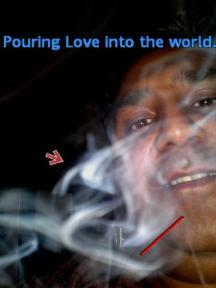 During a visit to Kerala india in December Bimal Pandey Did some Divine work saving souls in the water, land and above. 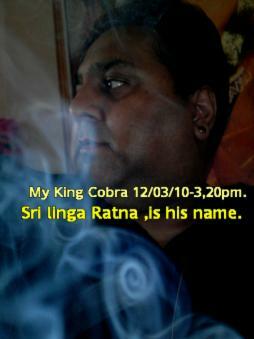 Once he came back home the queen mermaid took form and appeared on a lingam. 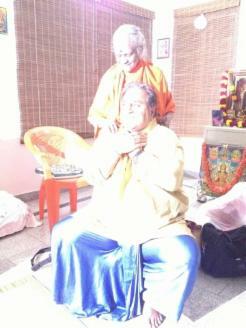 Bimal pandey and others visited Sri Bhagwan Sathya Sai Babas Ashram in whitefield Bangalore. 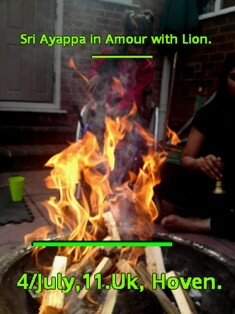 During that time in Whitefield they went for the darshan of Sri Amma Devi. 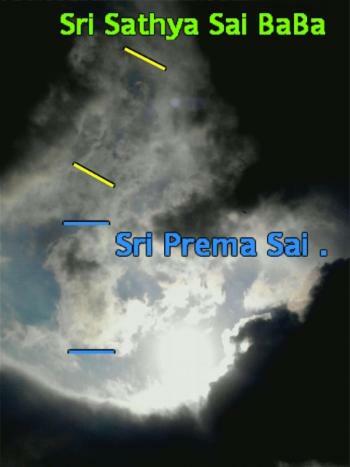 Bimal Pandey had a photo taken with Sri Devi Amma and a bright golden light surrounded them. 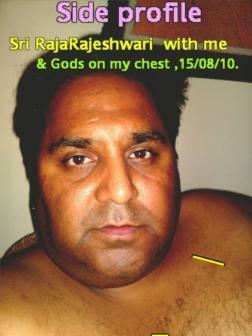 In the picture below Bimal Pandey was in the Kaveri river in Mysore Bangalore and Goddess Kaveri came out of the water and held him. 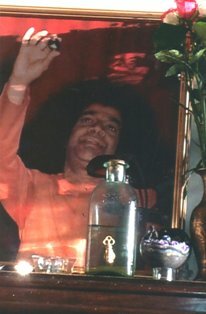 At the celebration of Sri Lord Ayyappa on the 27th September 20012 Bhagwan Sri Sathya Sai Baba appeared in the hand of Bimal Pandey. 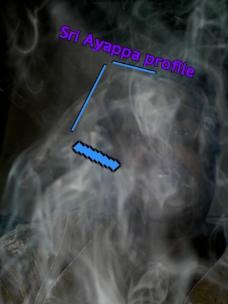 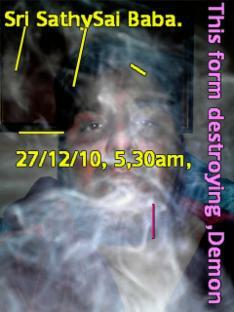 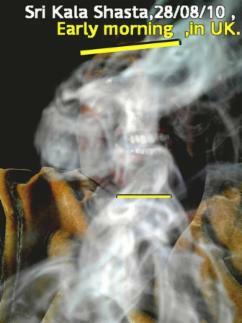 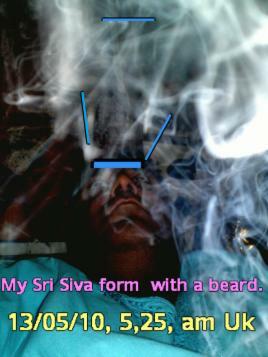 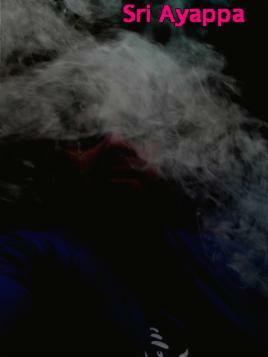 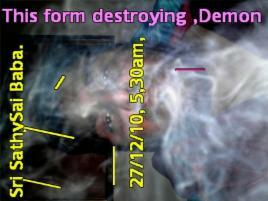 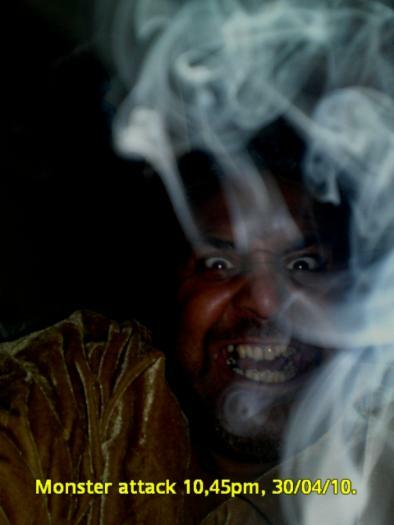 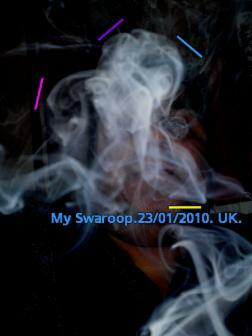 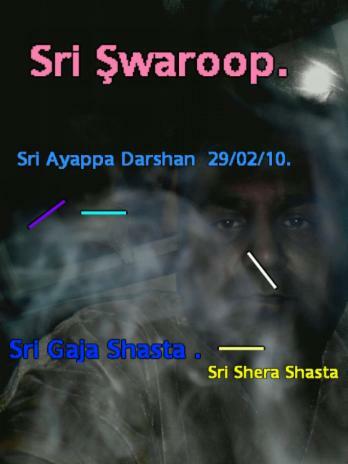 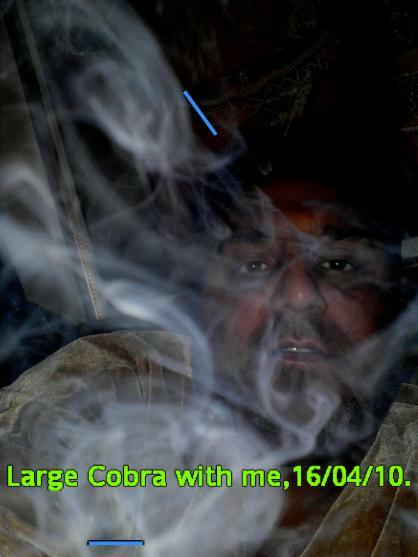 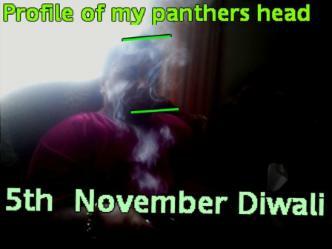 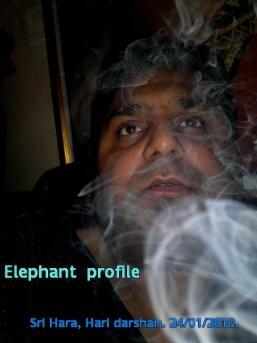 Bimal took a picture with smoke from a dhoop stick around him. 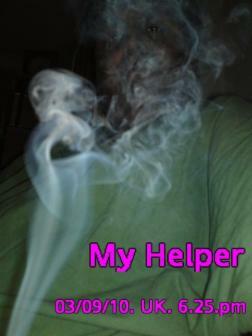 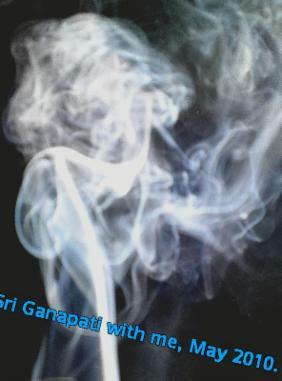 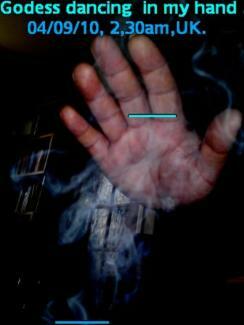 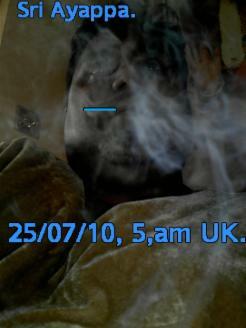 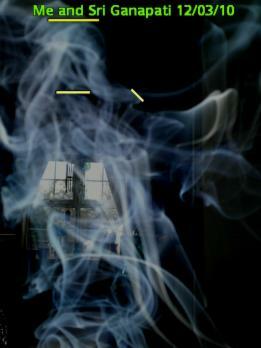 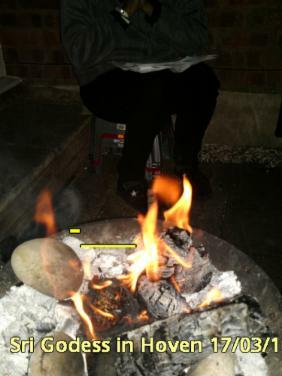 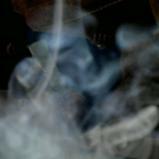 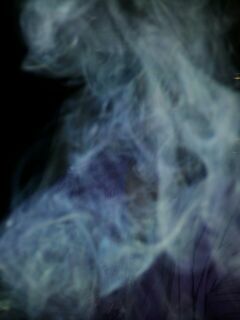 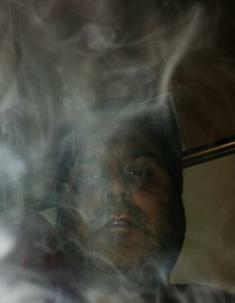 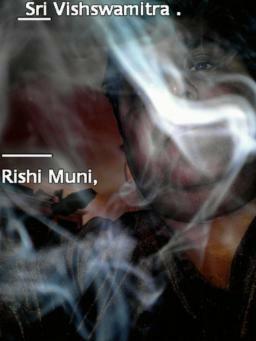 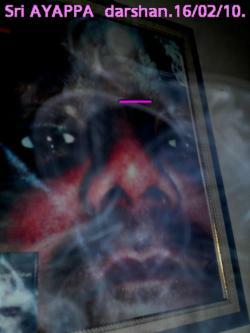 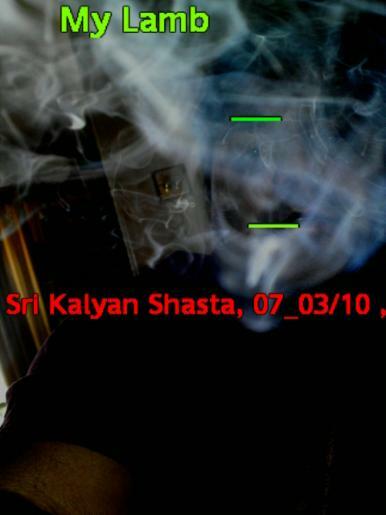 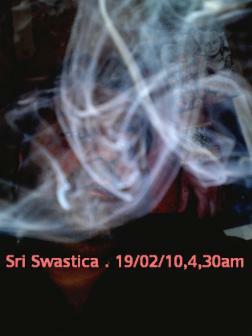 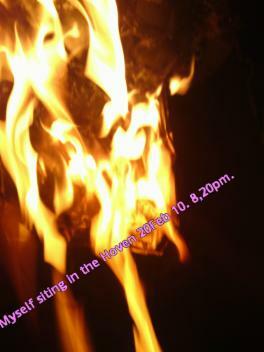 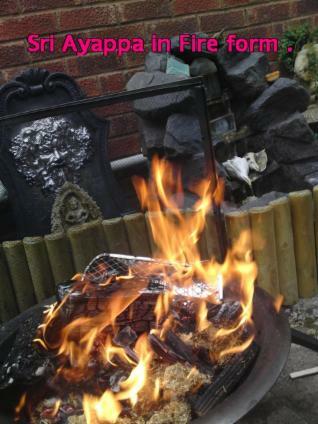 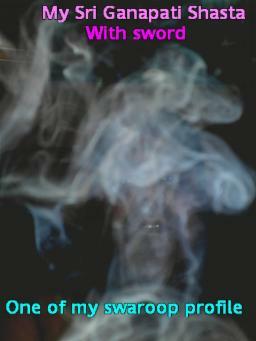 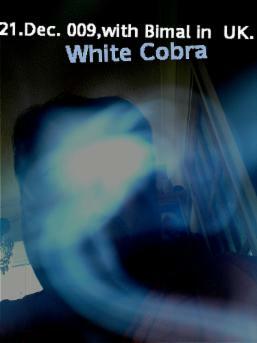 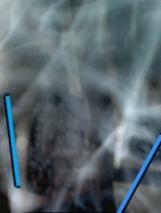 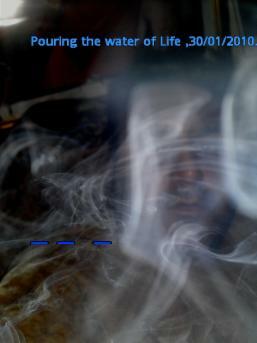 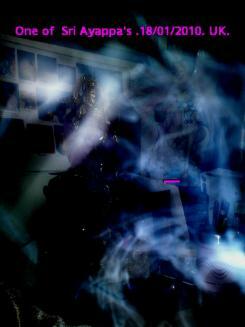 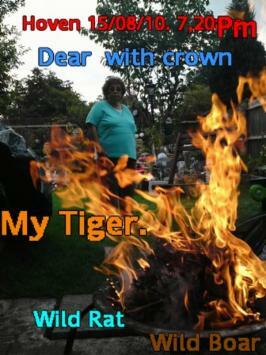 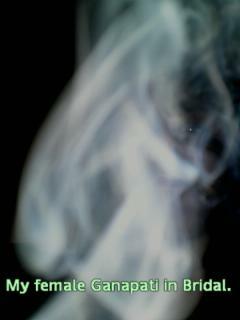 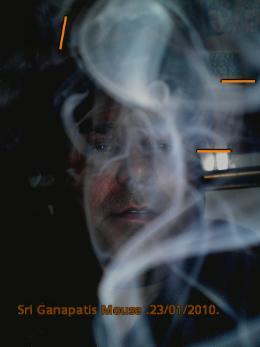 The picture shows Bimal holding his sword (which is lit up) in the smoke. 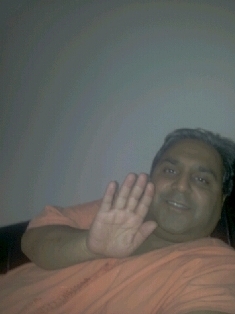 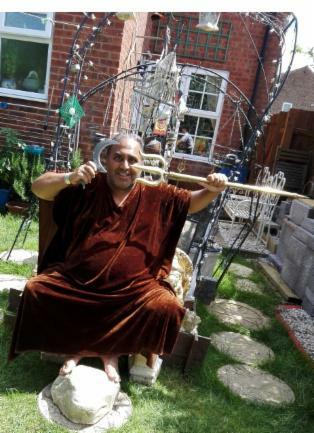 Bimal Pandey visited London to fight negative forces. 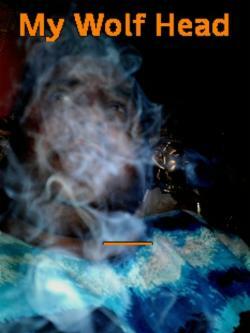 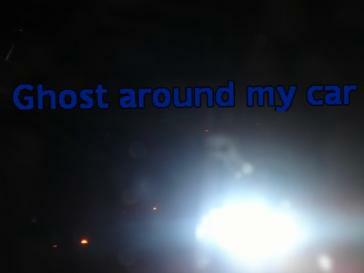 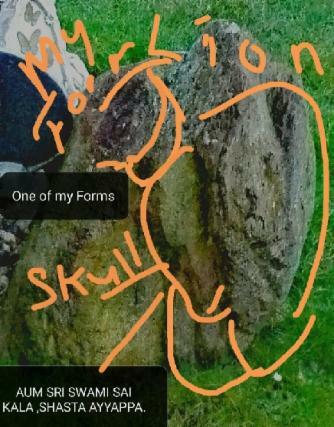 During the time he was there a picture was taken it showed a colourfull aura around him. 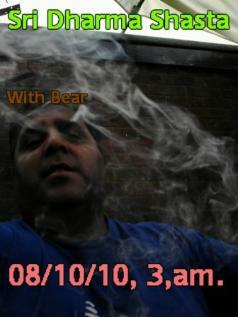 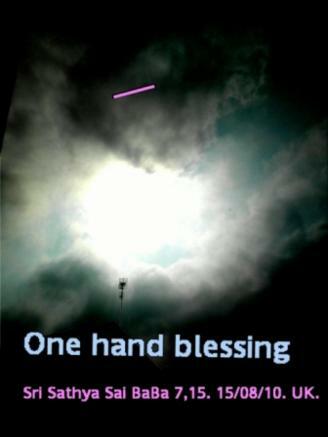 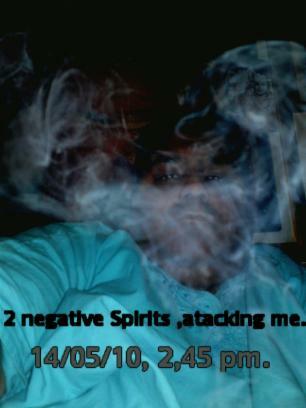 On a very cloudy dark day Bimal was fighting very negative forces in the picture below. 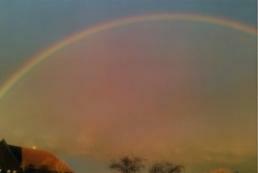 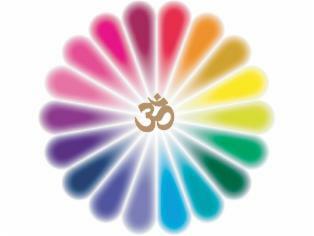 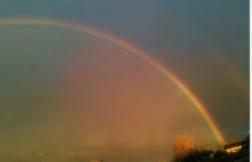 Once the negative forces were killed the sky cleared and a beautiful rainbow appeared with gold and pink divine energy around it. 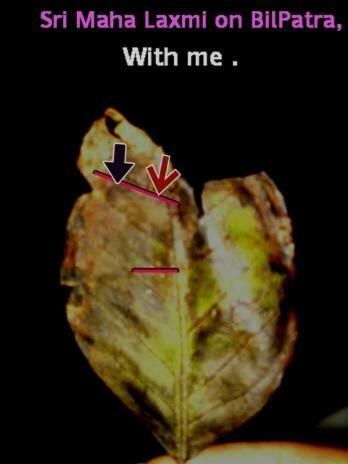 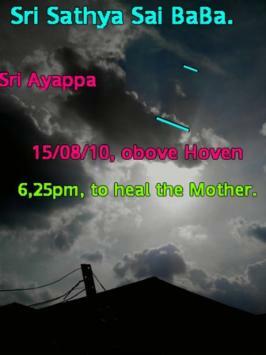 (shown in the two pictures below). 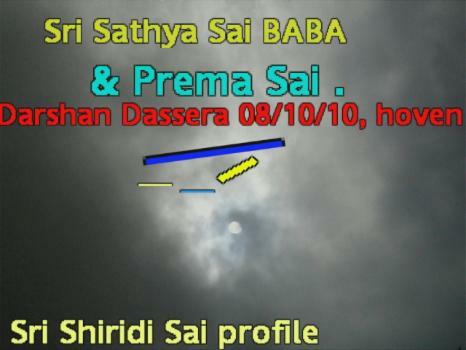 Below is a picture of Sri Bhagwan Sathya Sai Baba with the form of Sri Ayanar in the light above the head of bhagwan Baba. 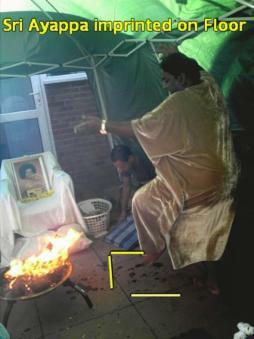 Bimal Pandey lit a dhoop stick and theform of Bhagwan Sri Sathya Sai Baba appeared merging in to Bimal's face and body. 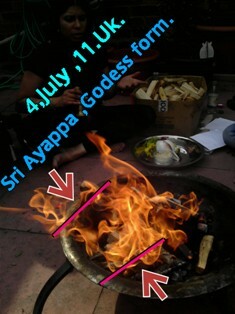 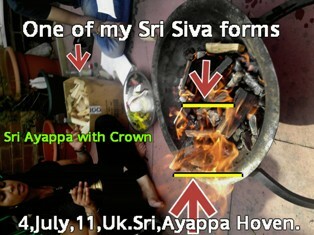 Bimal Pandey and Beghal family performed a hoven to Lord Sri Ayyappa on the 4th July 2011. 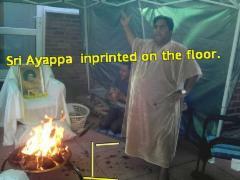 Shivaratri was celebrated at the home of Bimal Pandey a many miracles appeared. 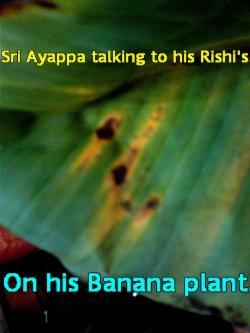 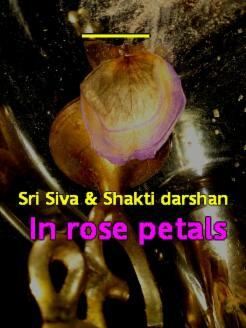 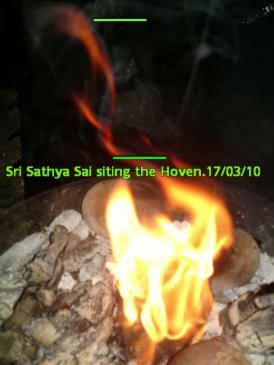 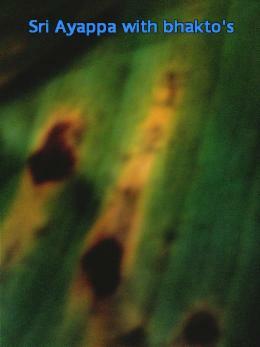 Bhagwan Sri sathya Sai Baba appeared in the Bilva leave on Shivaratri. 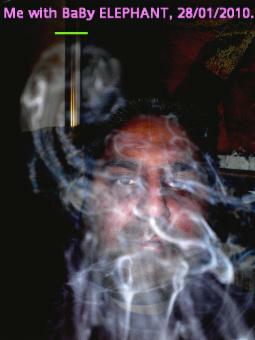 Many gods came in a special mix of powders and ingredients Bimal had made. 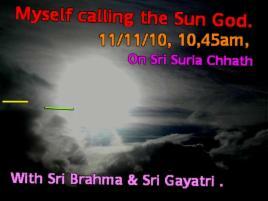 On a dark rainy day Bimal called the sun god Sri Surya and Sri Surya came to give his divine darshan. 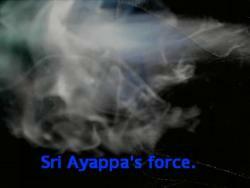 On Makar Sankrath (the celebration of Lord Sri Ayyappa) Many forms appeared. 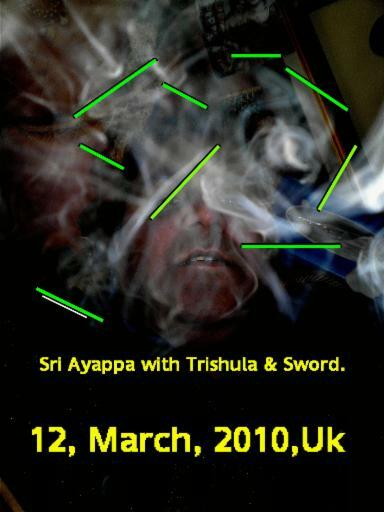 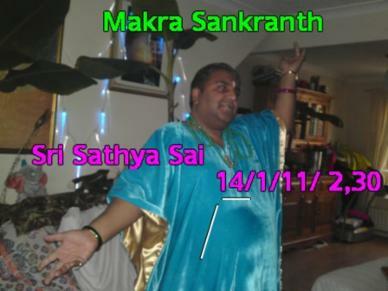 On the 16th November 2010 Bimal Pandey and others traveled to London Alexandra Palace to receive the divine darshan of Aum Sri Amritanandamayi Devi (Embracing Mother). 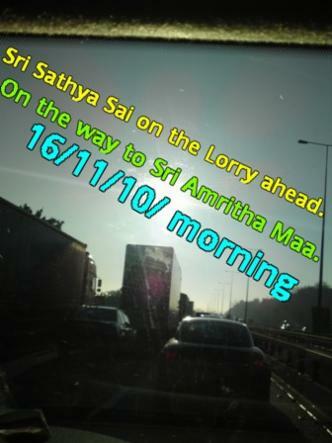 As we travelled Bhagawan Sri Sathya Sai Baba appeared on a lorry that was infront of our car. 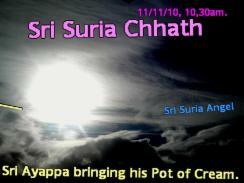 On the 11th November was Sri Surya (the sun god) Chathurathi. 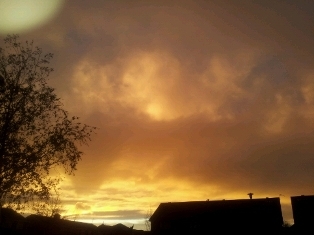 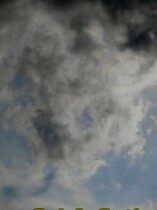 The day had very dark storm clouds and rained. 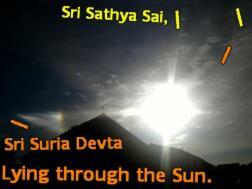 Bimal Pandey at 11.30am prayed to sri Surya devta and called the sun god to come out. 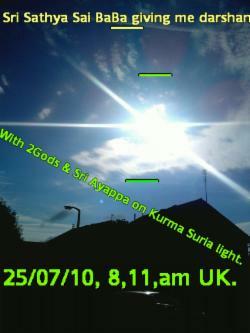 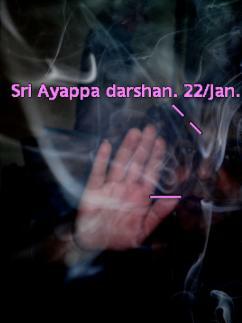 The clouds parted and Sri Surya gave his divine darshan and shone for 1 hour. 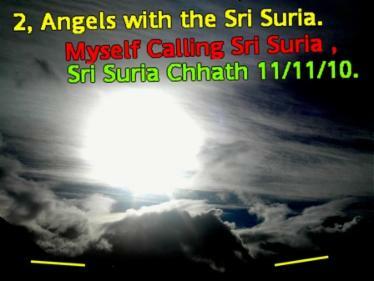 Again a short while after Bimal prayed again and Sri Surya gave his divine darshan again. 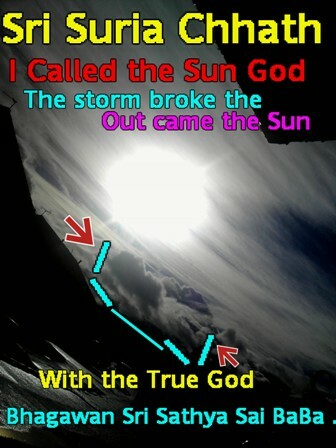 Below are the miracle pictures from that special day. 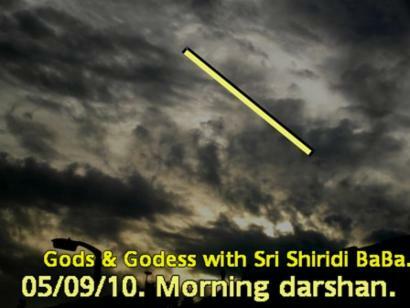 After offering prayers to Sri Bhoomi Devi the goddess appeared in the sky above where Bimal Pandey was. 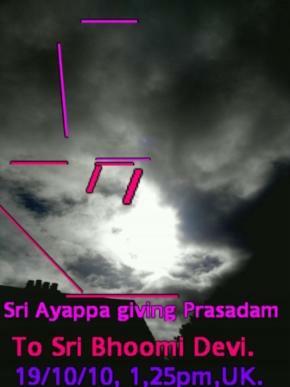 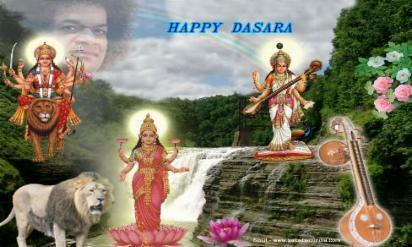 It shows Sri Ayyappa holding prasadam and offering it to Sri Bhoomi Devi who is above. 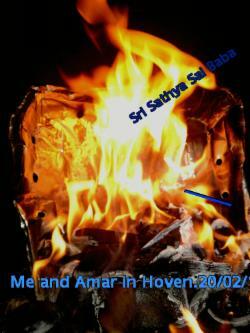 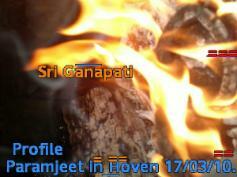 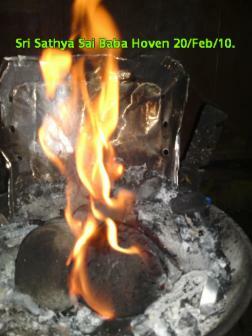 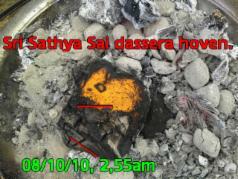 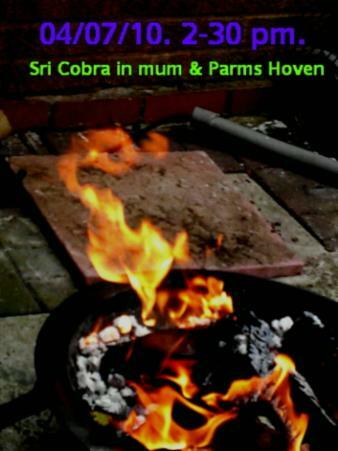 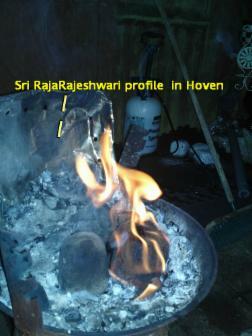 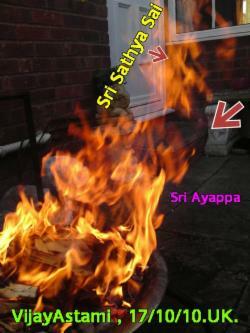 Sri Baba appears on the wood in the hoven. 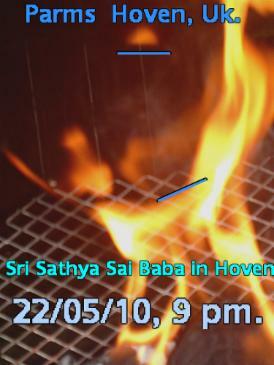 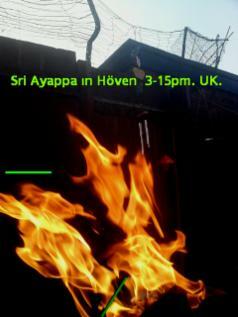 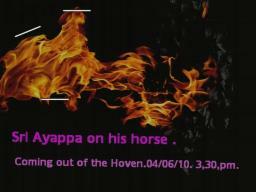 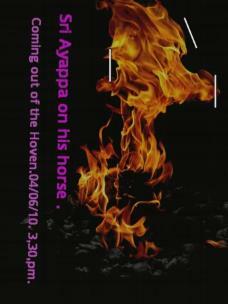 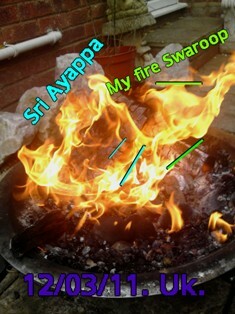 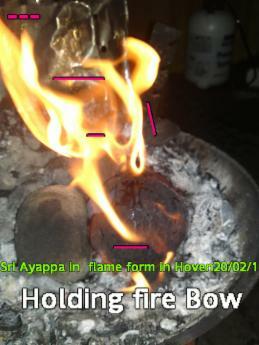 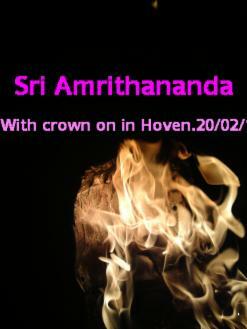 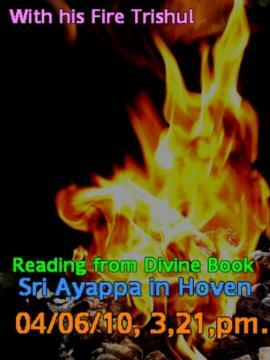 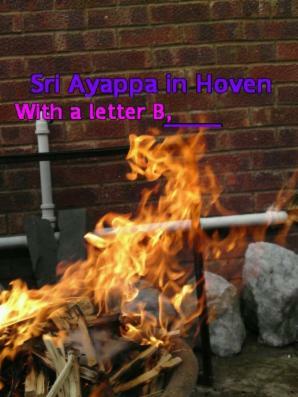 Sri Ayyappa in the hoven. 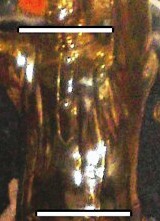 Eagle form with three heads. 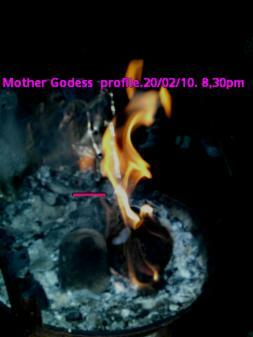 Goddess forms on the coconut with Sri Ganapti who has also formed on the left side of the coconut. 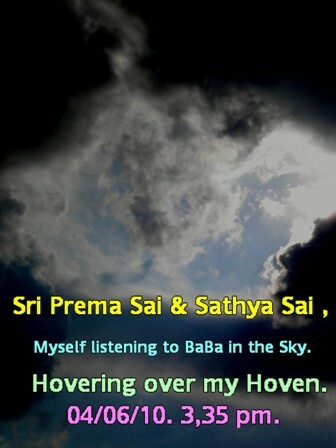 Bimal Pandey conducted a hoven for Sri Baba and Sri Goddess. 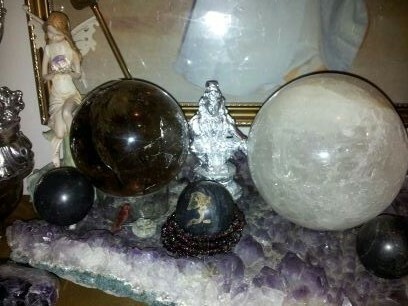 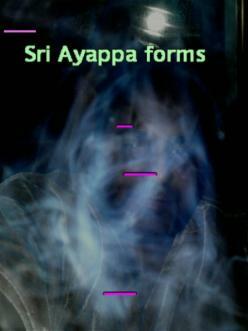 Below are the amazing divine forms that appeared. 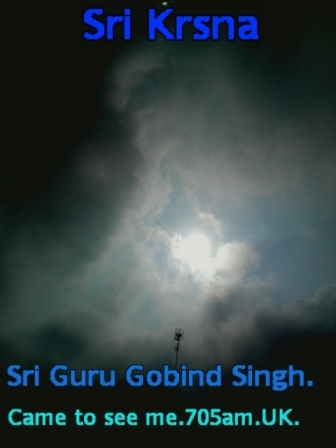 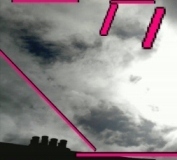 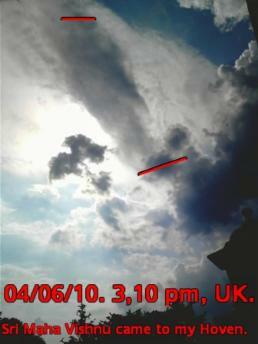 Bimal Pandey took a picture above his home in the UK and in the picture Sri Krishna (a side profile with one hand on his chin at the top of the picture) and Sri Guru Gobind Singh Ji (side profile at the bottom of the picture) appeared in the sky. 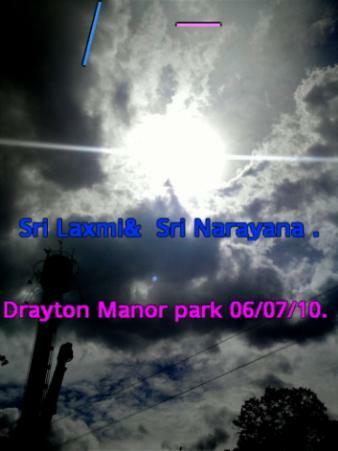 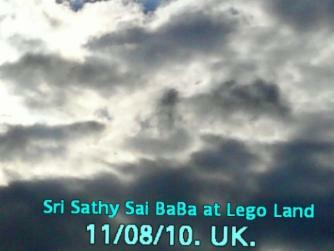 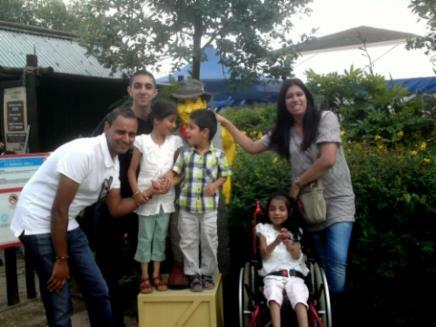 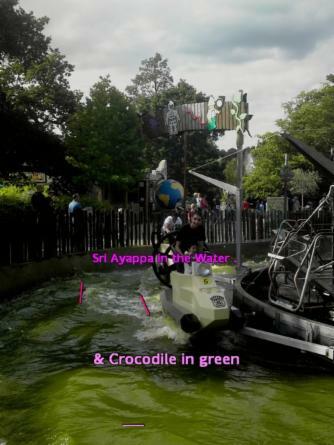 On the 11th August 2010 Bimal Pandey and other Sai Devotees went on a trip to Legoland Windsor. 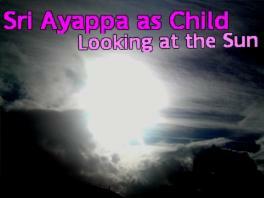 As we travelled on our way Bimal Pandey saw Bhagwan Sri Sathya Sai Baba in the sky. 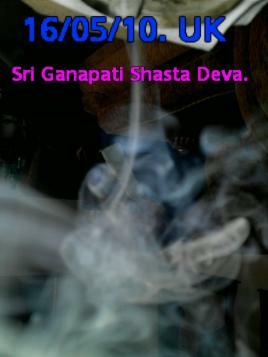 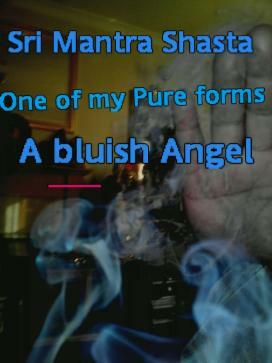 Bimal Pandey Lit a doop stick and from his hand formed Sri Mantra Shasta. 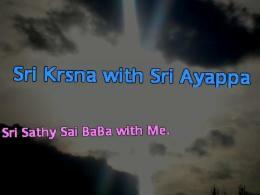 Sri Mantra Shasta is one of the divine forms of Lord Sri Ayyappa. 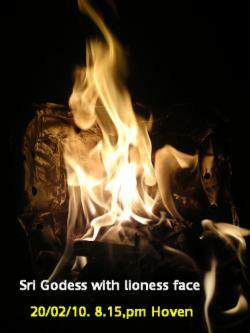 Bimal Pandey stood on a stone for a number of seconds and once he took his foot of the stone Sri Ayyappa's form of a bearded Lord Shiva appeared on the stone and also the steps of Sabrimala. 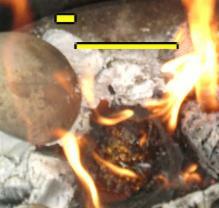 Everyway you turn the stone the same image appears. 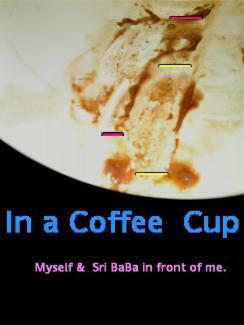 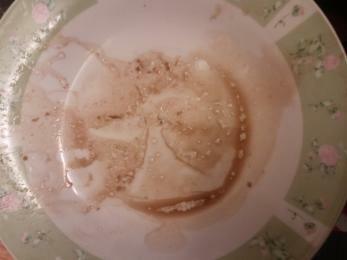 After Bimal Pandey drank a cup of coffee Bhagwan Baba with Bimal Pandey appeared in the cup. 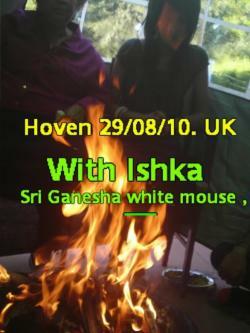 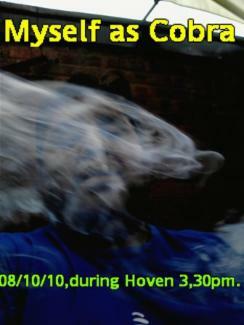 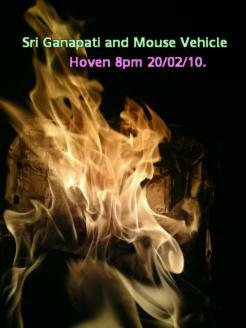 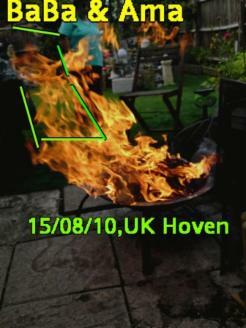 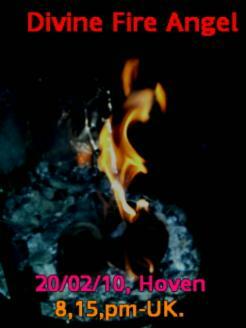 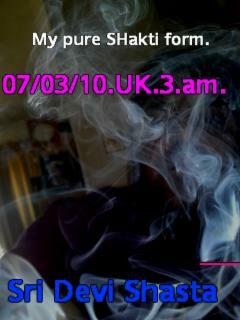 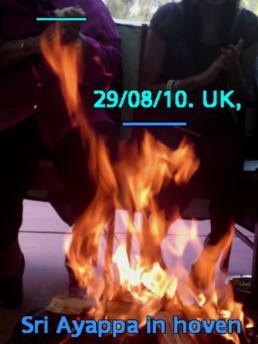 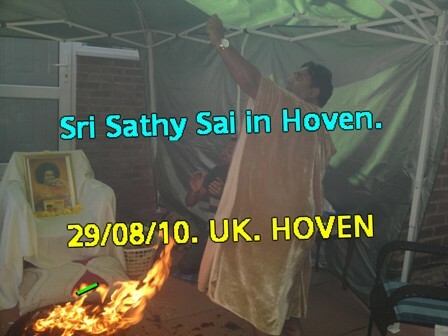 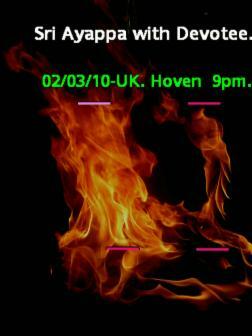 A hoven was performed on the 27th June 2010. 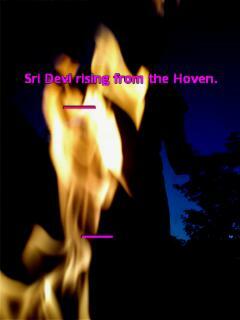 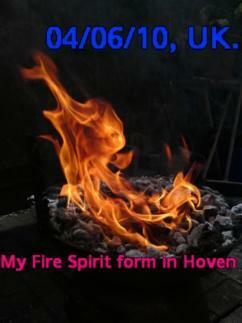 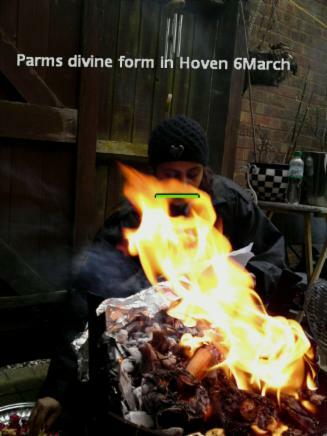 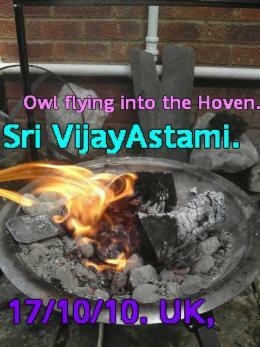 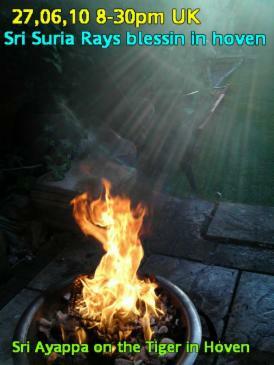 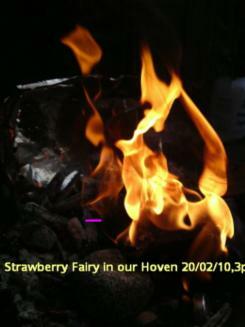 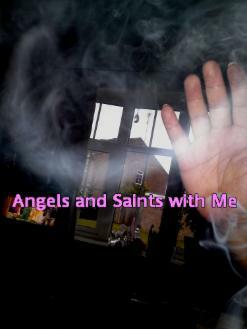 From the hoven many divine forms came out of the fire. 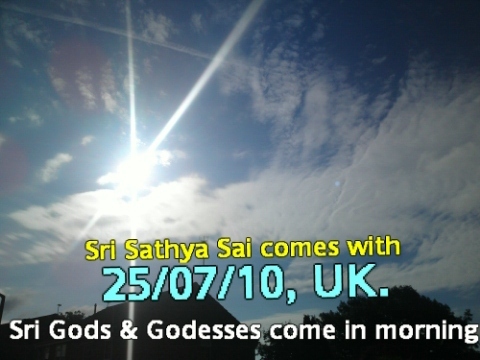 On the 9th June 2010 Bimal manifested the form of Sri Sathya Sai Baba in a flower by placing his hand on top of the flower. 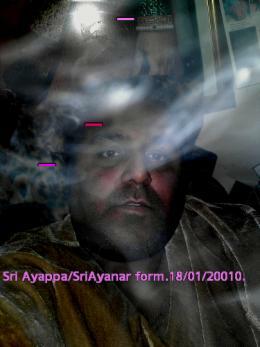 In the picture above you can see Lord Ayyappa riding his horse when you turn the picture there is the lion form of Lord Ayyappa at the top of the picture. 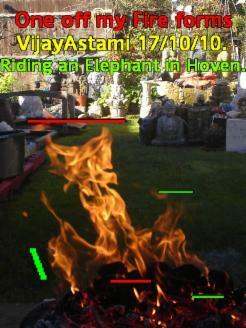 Bimal Pandey conducted a very special hovan on the 4th june 2010 during the hovan the gods appeared in the fire and watched from the skies. 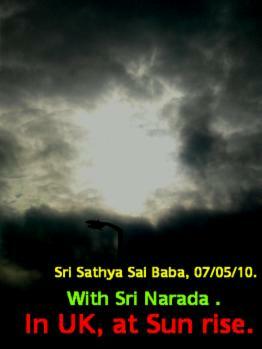 On 1st June 2010 Bhagwan Sri Sathya Sai Baba visited Bimal. 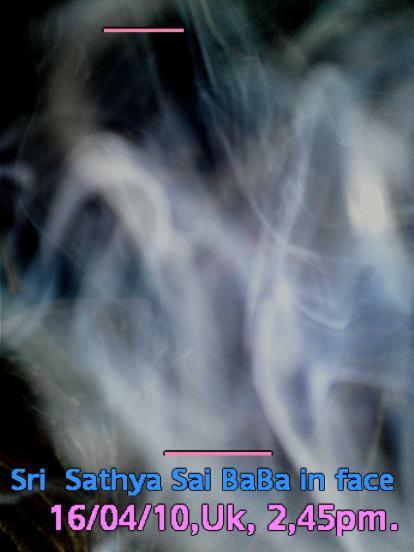 The divine pink rays came from baba. 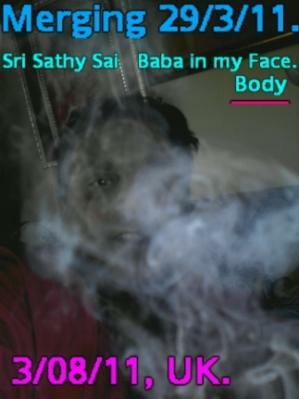 In the second picture you can see Baba is at the window. 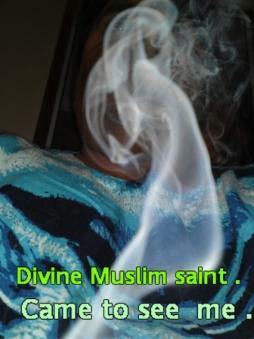 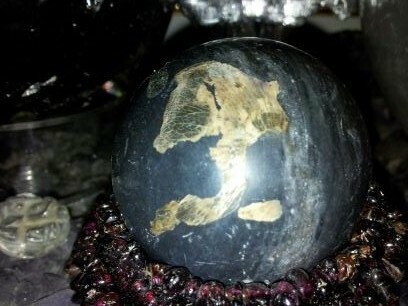 Below is a Quartz crystal that Bimal Pandey had used in one of the divine hoven's that he performs. 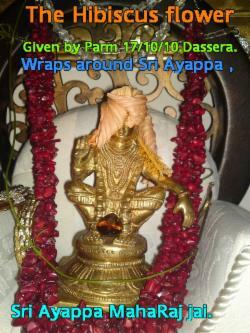 Within the crystal you can see Sri Lord Ayyappa is seated. 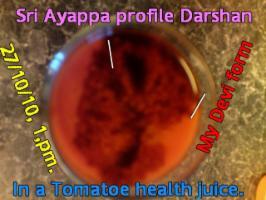 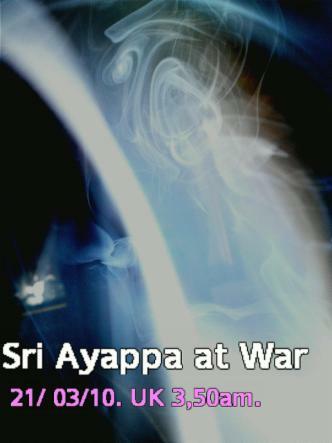 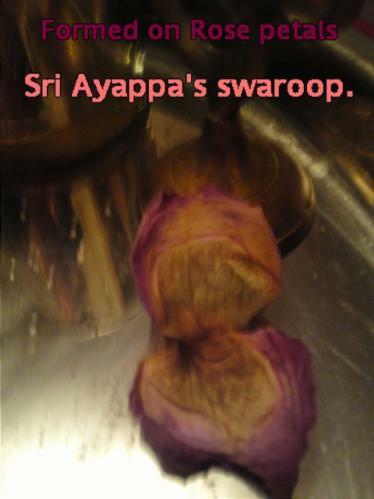 Which ever way you turn the crystal you can see Sri Lord Ayyappa sitting in the crystal. 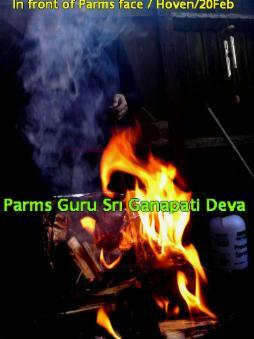 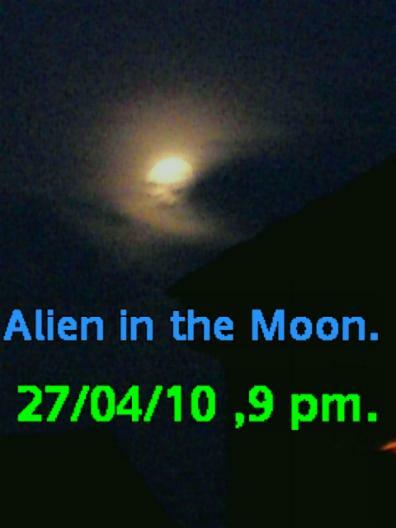 Parmjeet Pandey performed a hoven on the 22 May 2010 many miracles and gods appeared. 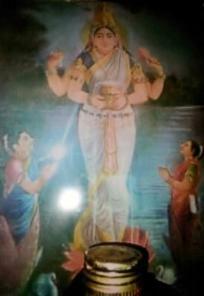 Above is the form of Maa Ganga, Sri Bhagrinath and Lord shiva. 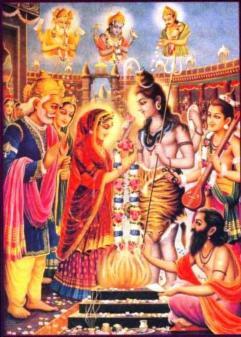 You can see in the smaller Lord Shiva picture the Beautiful Goddess Ganga is flowing from Lord Shiva's Hair. 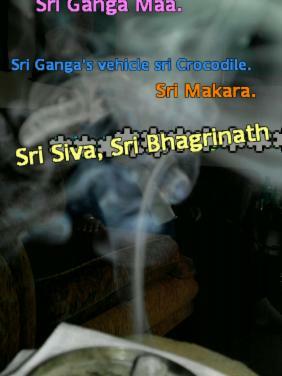 in the lower picture is Sri Maa Ganga's divine crocodile vehicle. 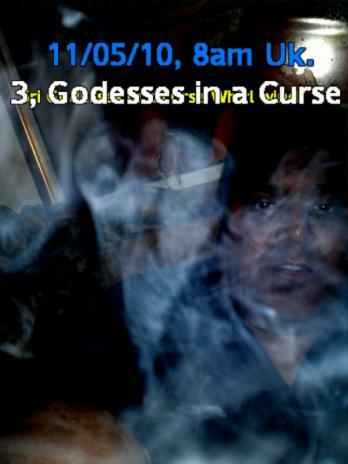 In the picture above is the form of 3 goddesses that are involved in a curse the picture shows that they are inside a dangerous wirlwind Bimal Pandey has helped these goddesses and cleared the curse by taking it on and consuming the wirlwind. 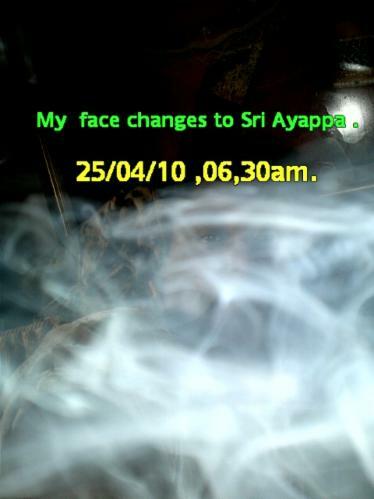 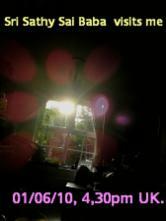 These pictures were taken at sunrise on the 5th may 2010 outside Bimal Pandey's House. 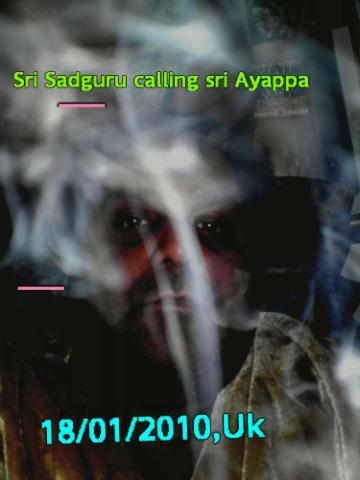 In the pictures above Sri Bhagwan Sathya Sai Baba has appeared giving his divine darshan and in the right hand side of the picture Sri Narada has also appeared. 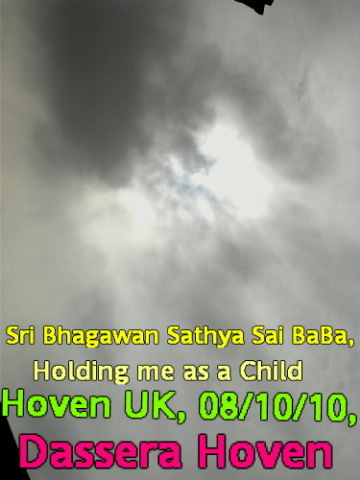 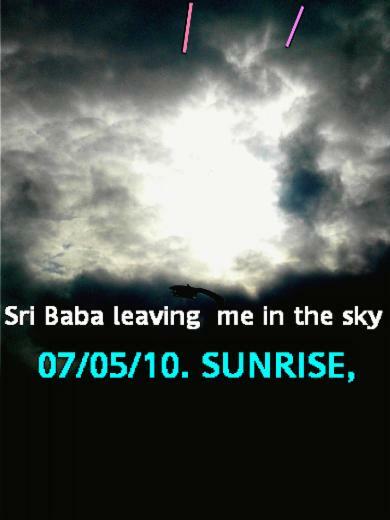 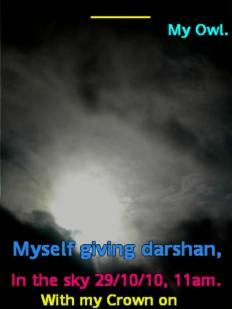 Below is a picture taken moments after and shows Sri Bhagwan Baba leaving the sky. 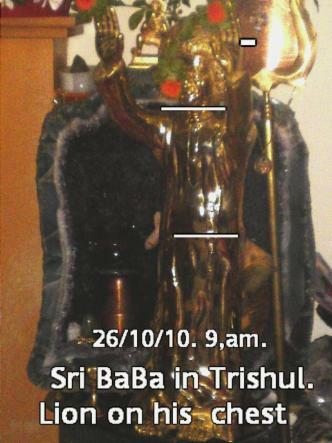 During the time Bimal was in india to receive the darshan of Bhagwan Baba below is one of the many miracles that had happened. 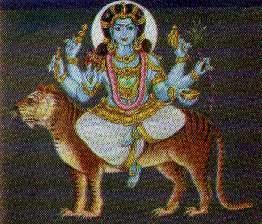 Bimal stood on the floor for a number of seconds and when he moved god forms appeared on the floor tiles. 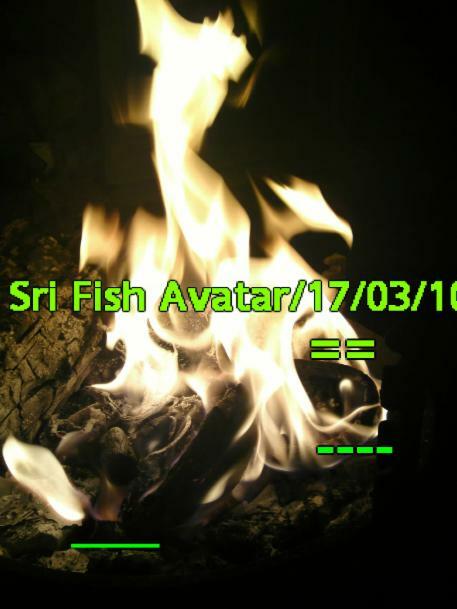 The fish incarnation of Sri Vishnu that rescues plants, animals, humans and all other life forms. 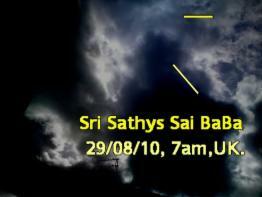 One of the ten avatars of Vishnu that appeared in the Satya Yuga. 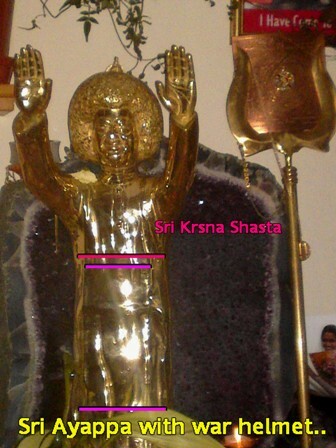 Lord Vishnu transformed himself into the sacred Shalagrama Stone after being cursed by Sri Tulsi Devi. 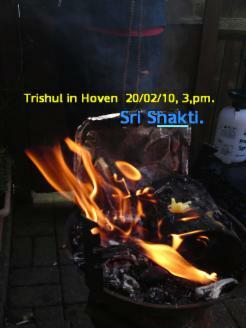 Sri Tulsi Devi (Sri vrinda Devi) was also cursed by Sri Vishnu into becoming the holy divine Tulsi plant on earth. 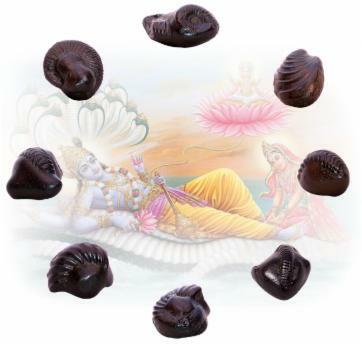 The Shalagrama is a small stone inside is the gem amolite it is the natural representation of Lord Vishnu. 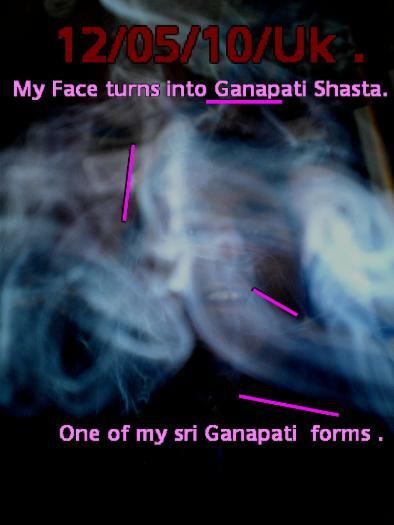 Shalagramas are found in the Gandak river of Nepal. 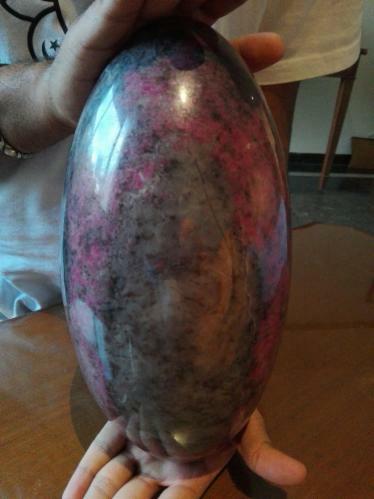 They are usually black or dark green colored, round or oval in shape, striated with tree-like markings. 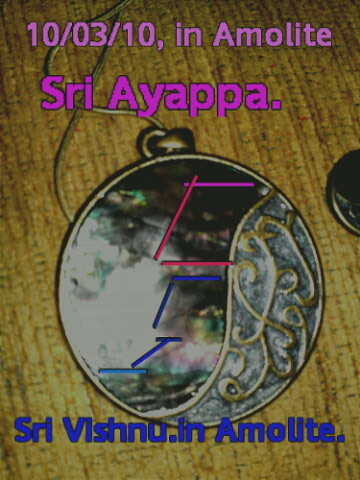 The curves of the striations signify the various forms/reincarnations of Vishnu. 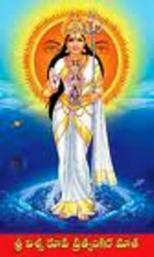 Its very presence in a home bestows health, wealth and happiness on its inhabitants. 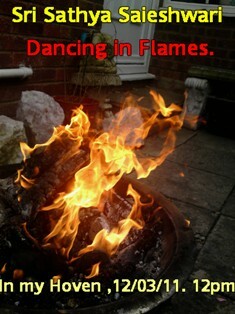 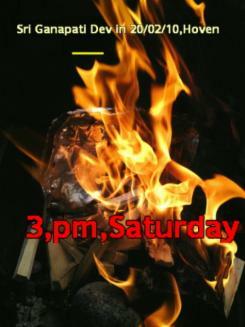 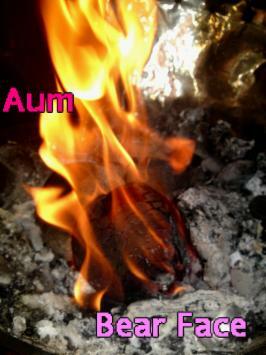 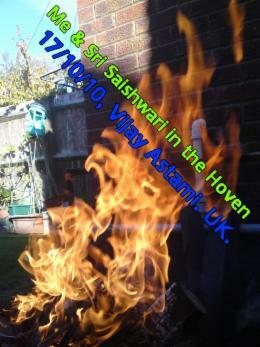 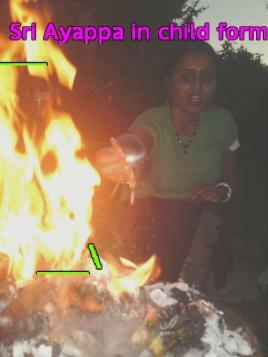 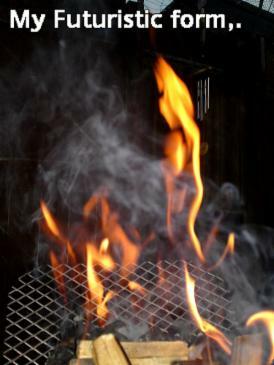 Bimal had conducted hovens (fire worship) for world peace and prosperity. 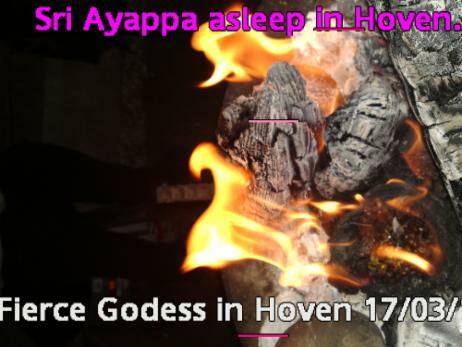 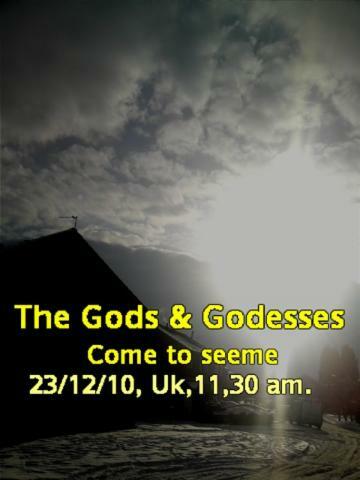 From within these hovens there have been gods and goddesses emerging along with other divine beings. 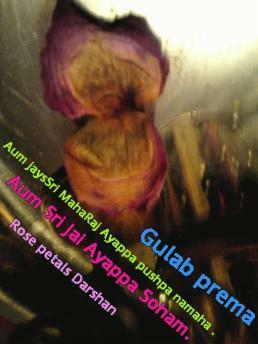 Bimal pandey cut open a mango that was offered for prasadam. 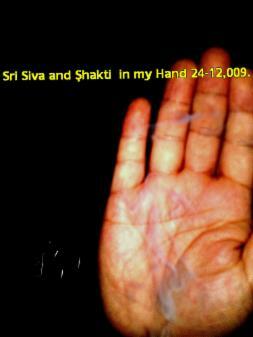 When it was cut open the form of two hands were inside the mango.